I’m visiting six leading NYC ad agencies with Boston University this Spring Break: Grey, mcgarrybowen, Publicis- Kaplan/Thaler, Leverage Agency, Firstborn and OMD. And I figured I’d take the opportunity to highlight what I found out about each agency before the trip. If I did all six at once, the post would be overwhelming, so I’m breaking it into two parts. In this post I’ll highlight Grey, mcgarrybowen and Publicis Kaplan/Thaler. Next post I’ll highlight Leverage Agency, Firstborn and OMD. You might remember Grey as the agency Duck goes to in Mad Men or for the E*TRADE baby. But it has so much more than that going on. Grey, part of WPP, is a historic agency known for inventing psychographics and for launching the first global advertising campaign with Revlon. In reflection of their history, Grey’s slogan is “famously effective since 1917.” Today, the Grey Group consists of a global network of 432 offices in 154 cities. Last year appeared to be one of Grey’s most successful. They won several Cannes Lions. Grey NY particularly won big for their Direct TV Campaign and their Febreeze campaign. They also were successful in 21 out of 23 of their pitches under CMO Michael Houston, a pretty good track record if you ask me. Their success won them back previous clients Allergen and Pfizer. One thing I wonder about Grey is how their sub-brands function in relation to the rest of their network. The offices of Wing, a hispanic focused agency, and G2, an activation agency, are both located in the same building as Grey NY. Do they function as truly independent entities? In the news: They’ve managed to keep Pringles, a long standing client. There are rumors that G2 and Ogilvy Action (both part of WPP) might merge. Some clients: Pfizer, E*TRADE, Playtex, Canon, Mars. Campaign highlight: There’s a reason why the Febreeze “Breathe Happy” campaign has taken several awards. Our preconceived notion of what a smelly place looks like lends itself wonderfully to a product demonstration. I can’t get the image of those sweaty Azerbaijani wrestlers, and their dirty jockstraps, out of my head. This agency has been snapping up a lot of talent from Wieden+Kennedy. Kevin Chesters just joined the company as executive planning director and creative duo Paul Jordan and Angus Macadam are already on as joint executive creative directors. McGarryBowen was founded in 2002 by John McGarry, former president of Y&R, and by Gordon Bowen, famous for his “Chase Freedom” campaign, which was behind the most successful credit card launch ever. Once one of the largest independent ad agencies, McGarryBowen is now part of the Dentsu network. However, its 5 offices continue to operate independently. The McGarryBowen website says that they are a lean, service-focused agency. They are committed to creating “work that works.” They focus on business solutions and getting results. I guess the proof, as they say, is in the pudding, as they have been awarded agency of the year on several occasions. In fact, they are one of the rare agencies to be named agency of the year in both Advertising Age and Adweek in the same year. Their office, the Starett-Lehigh Building, features the largest outdoor space of any ad agency in NYC. It looks really sleek in the photos and I’m really excited to see inside. In the news: Besides the fact that Kevin Chesters just switched to McGarryBowen, there’s also been a lot of coverage on their “Miracle Whip Open Mouth Anthem,” which challenges consumers to keep an open mind about Miracle Whip. Some clients: Verizon, Marriott, Chase, Crayola, Reebok. Campaign highlight: The Reebok “Live with Fire” campaign is a powerful piece that exemplifies the upbeat nature of McGarryBowen creative. Kaplan/Thaler was founded in 1997 with just 6 people in a brownstone apartment in NYC. As seen in their name, it is now part of the French media conglomerate Publicis. Kaplan/Thaler is all about change; they want to help their clients be the ones to lead change, rather than follow in the footsteps of other brands. The group is perhaps best known for creating the Aflac duck, Charmin “Sit or Squat“, and for their Swiffer Sweeper campaigns. But what I really like about them is their creative use of installations in urban environments. When I visit, I want to know how a term that Kaplan/Thaler coined, “brandvocacy,” drives the strategy/creative behind their campaigns. The agency was ranked as one of Advertising Age’s best places to work last year. I wonder what in their culture makes that happen. In the news: Creativity recently highlighted their Citi Snow Globe installation in Bryant Park. They’ve also garnered tons of impressions with their campaign about the injured Aflac Duck. After the first ad ran, 30,000 people sent the Duck get well cards. 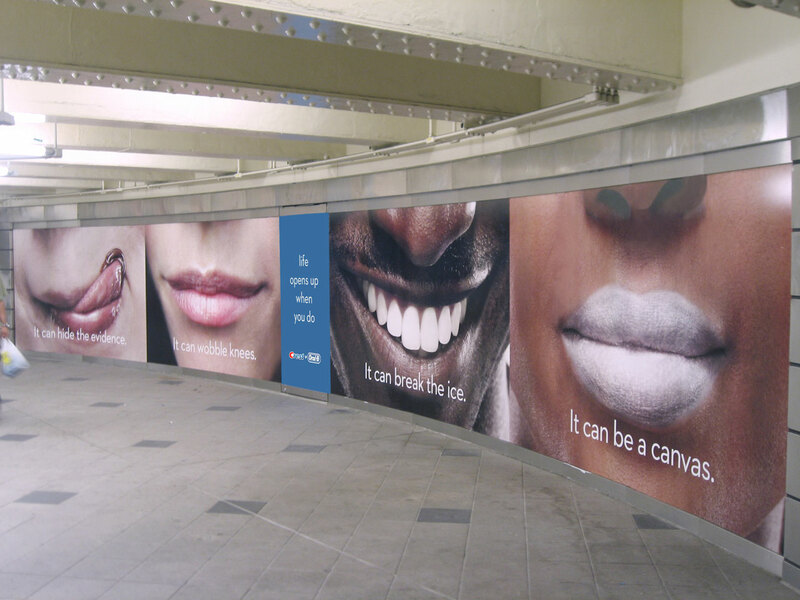 Some clients: Ad Council, Aflac, Crest+Oral B, Hilton, Continental. Campaign highlight: There were tons of great, effective campaigns posted on the Thaler/Kaplan site. It was really hard to choose only one. Ultimately, I chose the Hilton Honors campaign, simply because it is a campaign that has not been talked about enough. Check out the print ads as well.